2008 September « Japan, Hockey, Baseball, etc. When you live in Asia, you naturally come across many food stuffs that are considered inedible in North America (European cuisines are more inclusive). Then there’s of course the old adage about how the Chinese will eat anything on four legs except for tables and chairs. But this story from Mongolia tops a lot of what I’ve read or heard before. On our very last morning on the road, the mutton problem became a crisis. At fault was our dear driver, Bimba, who decided it was time to celebrate the trip by buying a whole sheep and slaughtering it. As we went into a local ger to eat breakfast, I noticed that the sheep’s head had been removed, and the internal organs were being poured into a giant pot, the same way you might empty a can of beans. Surely this was to feed the dogs, I thought. No one really wants to eat the lungs, stomach, and intestines of an aged sheep. Au contraire. I’m sorry to say that we had to watch the whole mess boiling for a while on the dung fire, yielding bubbles of brownish-gray scum. Afterward, a giant steaming bowl of internal organs was placed before us with some ceremony. Out came knives and a mixture of anatomy lesson and breakfast as we sampled one organ after another. I must stress the degree to which our dear friend Bimba considered this the way to cement our friendship. There was no backing away from trying each and every organ and making a good go of the whole thing. Even fearless Miki looked a little pale. Anyways, I enjoy Slate’s Well-Traveled series as they tend to go to far flung places where regular people can’t/won’t go for budgetary/time/safety constraints/concerns, but the travelogues aren’t amateur drivel of random traveblogs. Dinamo Riga (Latvia) of the upstart KHL (Kontinental Hockey League, mostly Russian league with ambitions to rival NHL in the future, or even now what with the Alexander Radulov signing) has an English website now! (And it looks great too, coming from a web-savvy Baltic nation maybe this shouldn’t be a surprise.) This is great news, as Riga and KHL info, stats, and news are now available in English. And KHL team budgets are now available and there is quite the gap between the richest and the poorest clubs. This seems to be total operating budgets that include player salaries, but nonetheless very interesting. 1. AK Bars Kazan – $55 mill. 2. -4. Salvat Ulaev Ufa, SKA St. Petersburg, Avangard Omsk – $50 mill. 5. 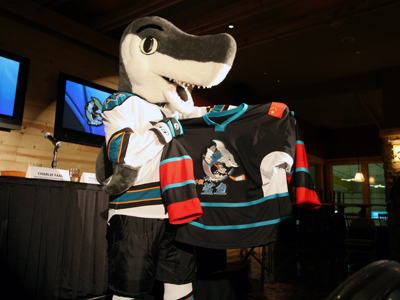 Metallurg Magnitogorsk – $45 mill. 6. Lokomotiv Yaroslavl – $40 mill. 7. Atlant Moscow – $35 mill. 8. -9. 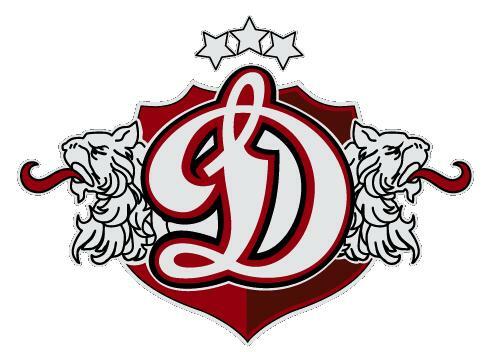 Dinamo Maskava, Sibir Novosibirsk – $25 mill. 10. CSKA Moscow – $22 mill. 11.-12. HK MVD Balashikha, Torpedo Nizhny Novgorod – $20 mill. 13. Spartak Moscow – $18 mill. 14. Amur Khabarovsk – $17 mill. 15. Dinamo Minsk – $16 mill. 16.-17. Severstal Cherepovets, Neftekhimik Nizhnekamsk- $15 mill. 18.-19. Metallurg Novokuznetsk, Vityaz Chekhov – $13 mill. 20. Lada Togliatti – $12 mill. 21.-22. Dinamo Rīga, Traktor Chelyabinsk – $11 mill. 23.-24. Barys Astana, Khimik Voskresensk – $10 mill. For a team with such a lot budget, Riga is off to an awesome start leading the Kharlamov Division right now with 5 wins, 2 OT/SO losses, and 2 losses in 9 games, good for 17 points. Long time Seibu Prince Rabbit (well, the team was named Kokudo before) and former NHLer Joel Prpic threw out the ceremonial first pitch (with a nifty intro video) at Seibu Dome where group company team and Daisuke Matsuzaka’s former team the Saitama Seibu Lions play. The event happened two weeks ago on 10 September before the game against the Hokkaido Nippon Ham Fighters, so this is way after the fact, but it’s a fun video nonetheless. This promotional gimmic seemed to have gone fairly unnoticed (well, the stadium was more than half empty at the time too) because the Rabbits season opener against the Nikko Ice Bucks at their home Dydo Drinko Arena in Higashifushimi only drew 1475 spectators, well below capacity with lots of empty seats. The new season has just begun for the Asia League, and already there is already controversy with more potential trouble brewing (maybe).